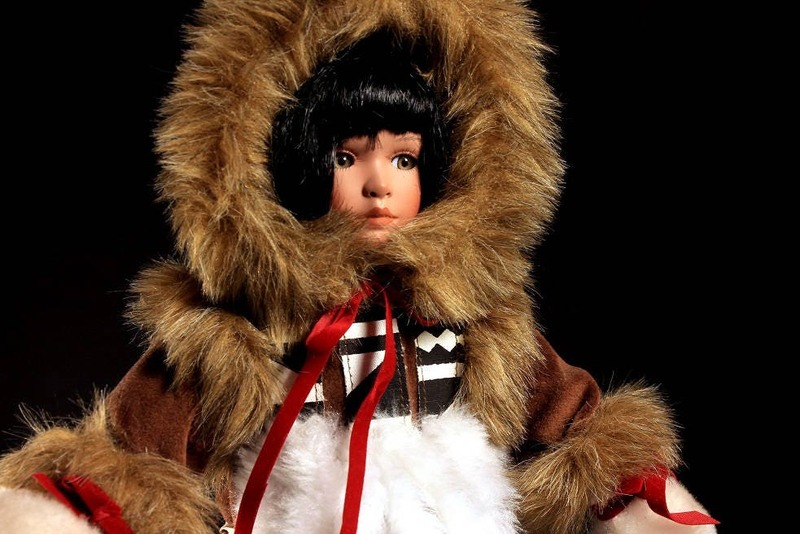 A gorgeous porcelain doll by Paradise Galleries. 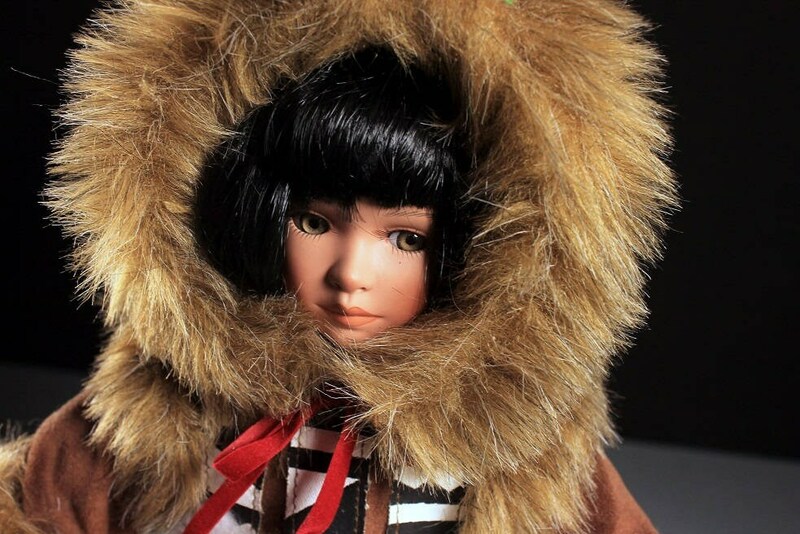 This doll has a fine bisque porcelain face that is hand painted and her clothes are highly detailed. 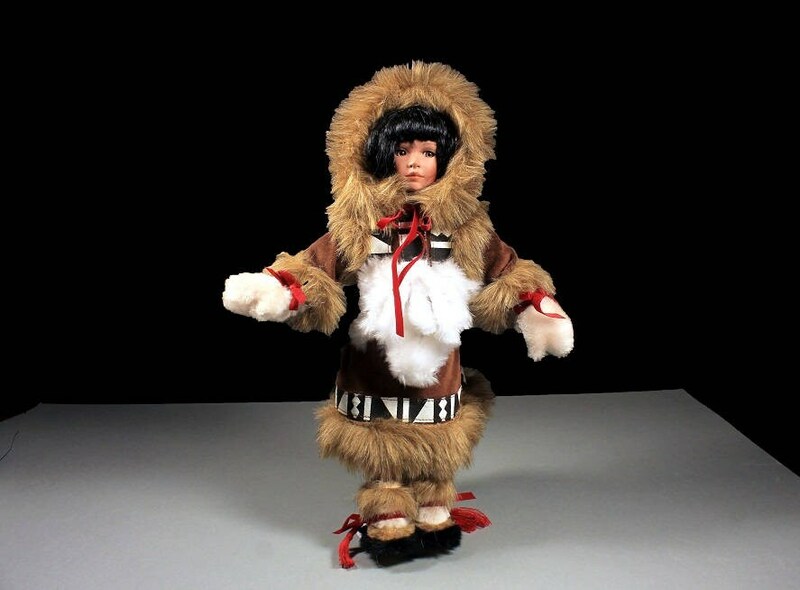 The doll is named White Star and she is an Eskimo. Her clothing is beautiful and consists of faux fur and faux suede. 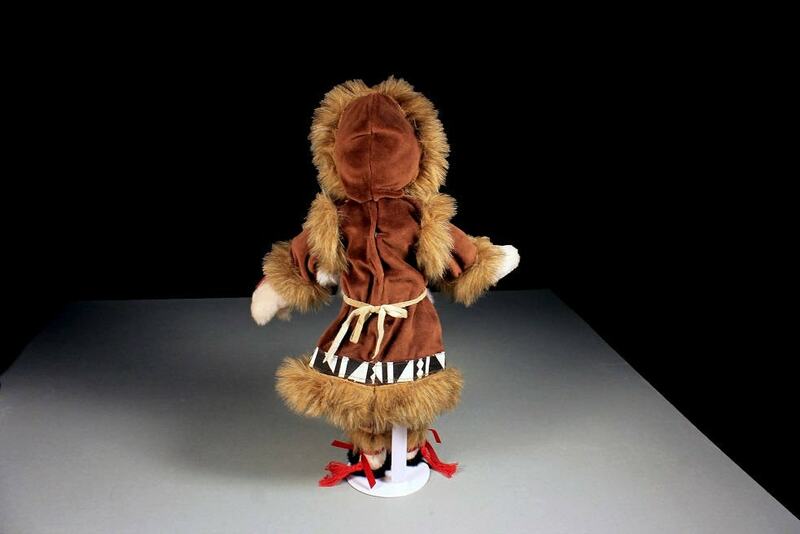 The doll's hands are in mittens and she wears fur Eskimo boots. The head, hands, and legs are porcelain and the doll has a soft body. The doll stand is included. This would be great for any doll collection or as a gift. The doll is signed on the back of her neck along with her number. 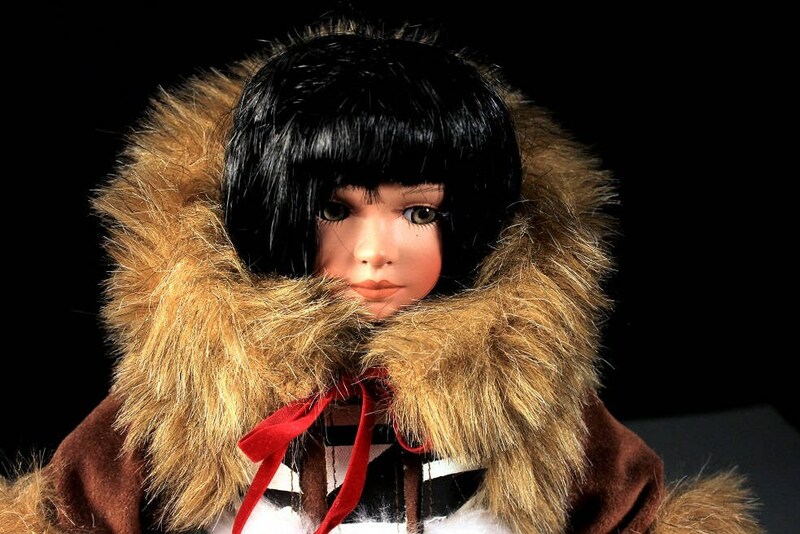 This doll is in excellent condition. She is not new but seems to have spent most of her time standing on a shelf. Her clothes have no rips tears or mending.